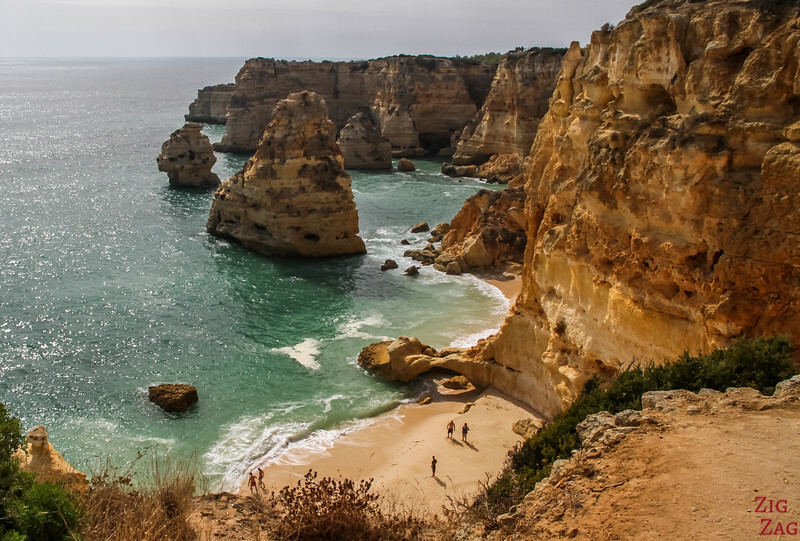 Marinha Beach a.k.a Praia da Marinha Algarve is considered by many to be one of the most beautiful beaches in the World. 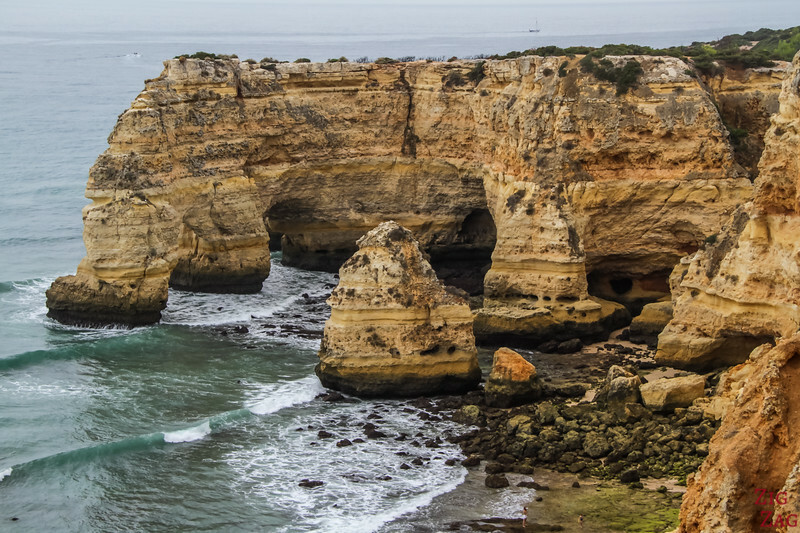 The erosion has indeed done a stunning job in this long cove on the South Coast off Portugal. 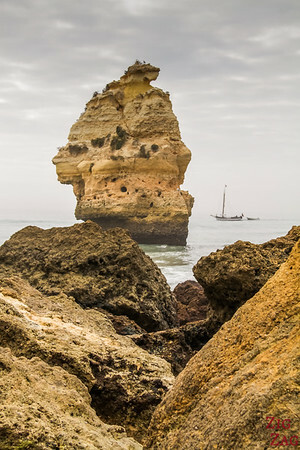 Discover it in Photos and Video. 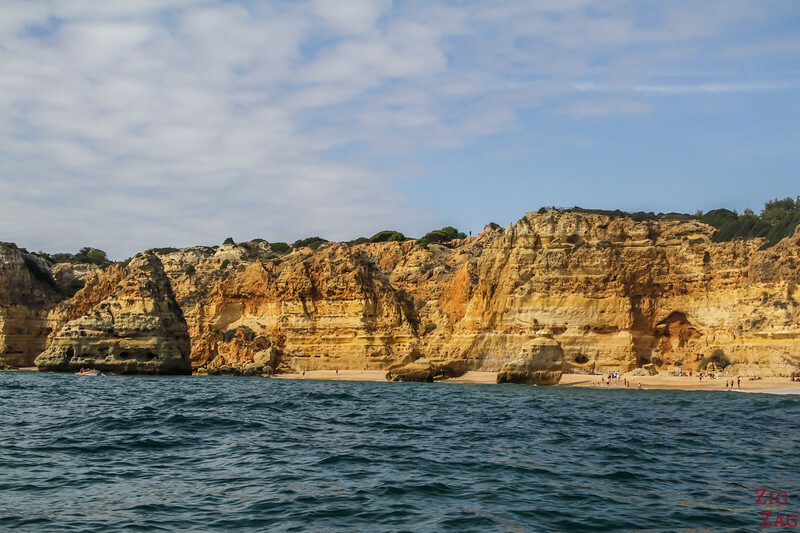 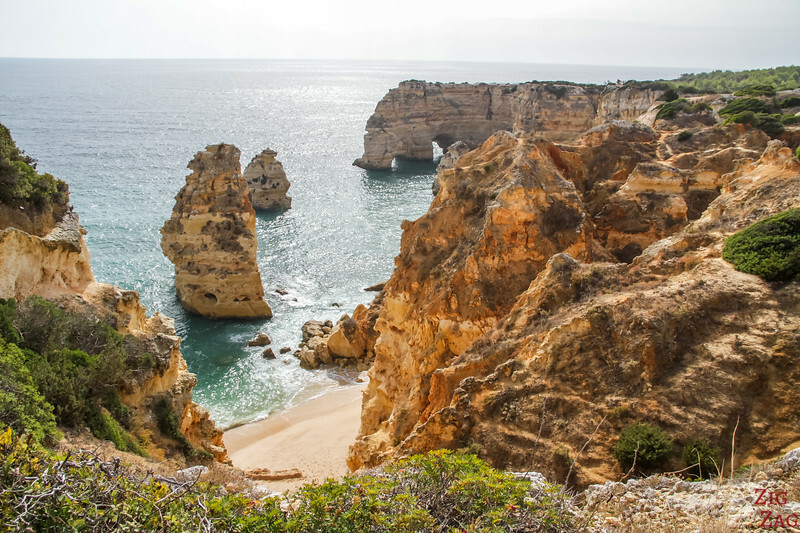 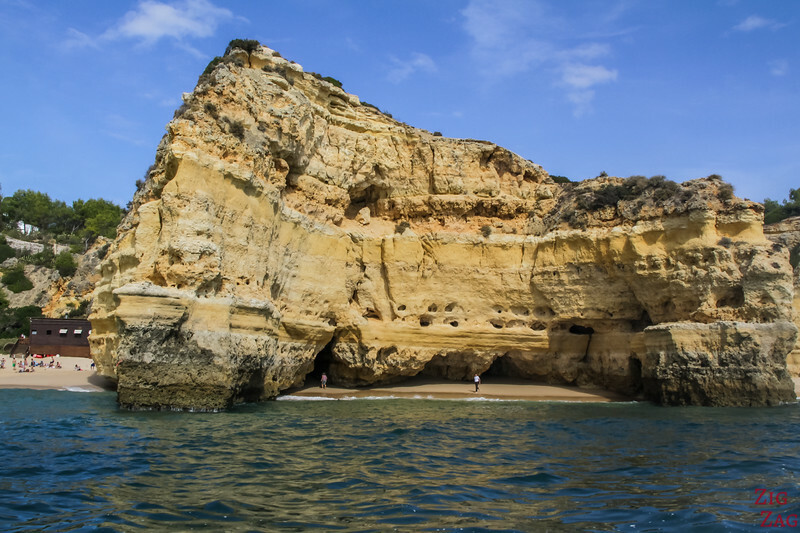 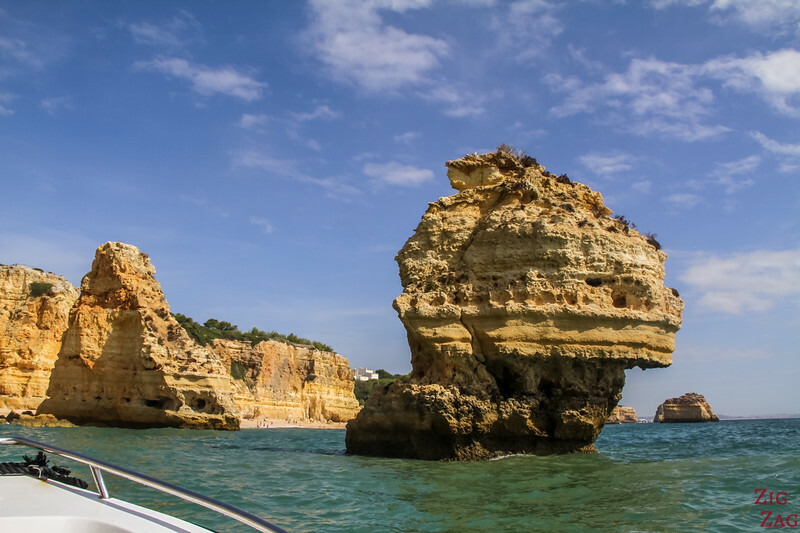 Let's start with a few panorama photos of Praia da Marinha Algarve just to get the ball rolling and help you understand why it has been included in several lists of the most beautiful beaches in the world. 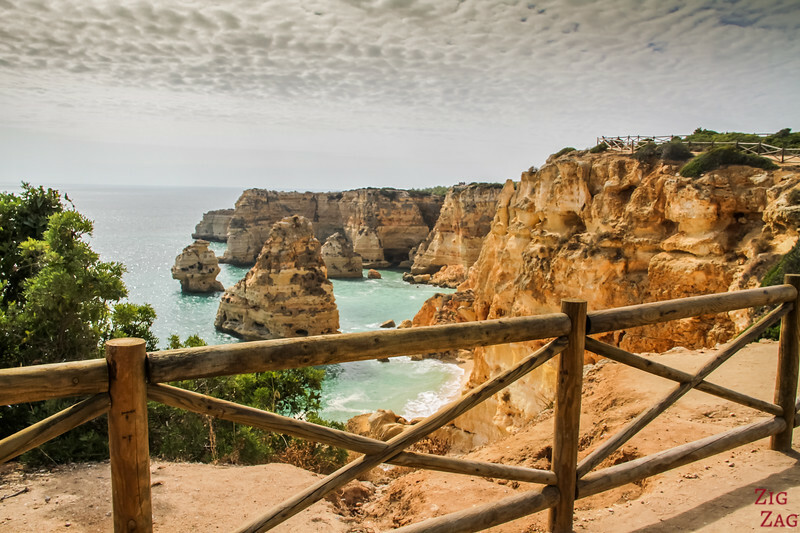 One of the great things at Praia da Marinha is that before walking down to the beach (or after) you can enjoy incredible views from the cliffs. 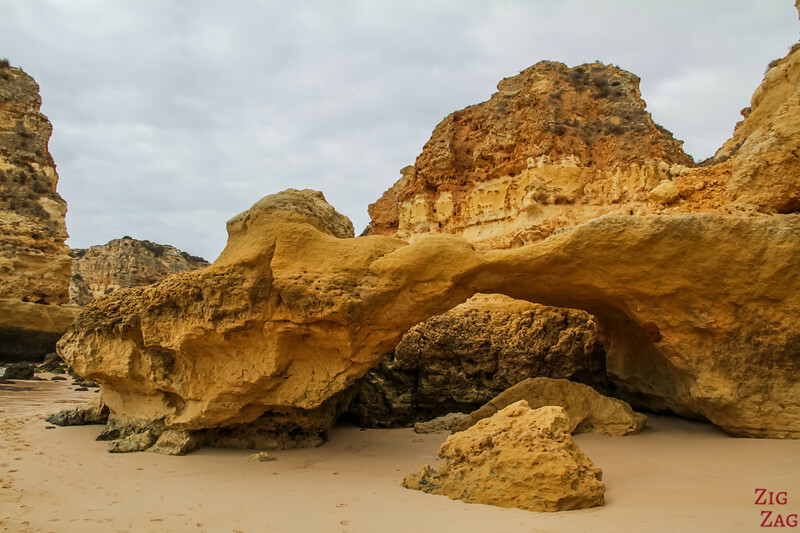 So you can see the amazing rock pillars, sea stacks and arches created by erosion from above. 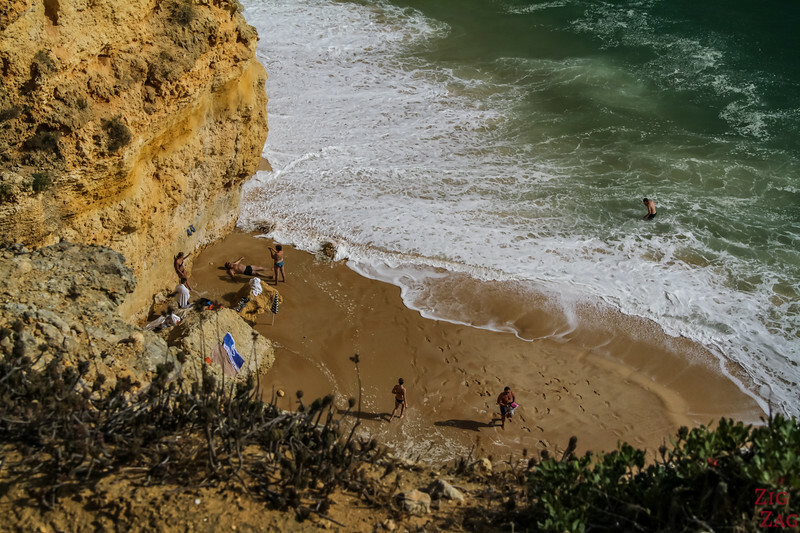 The first time I visited Praia da Marinha, I realized that I would not be able to enjoy it. 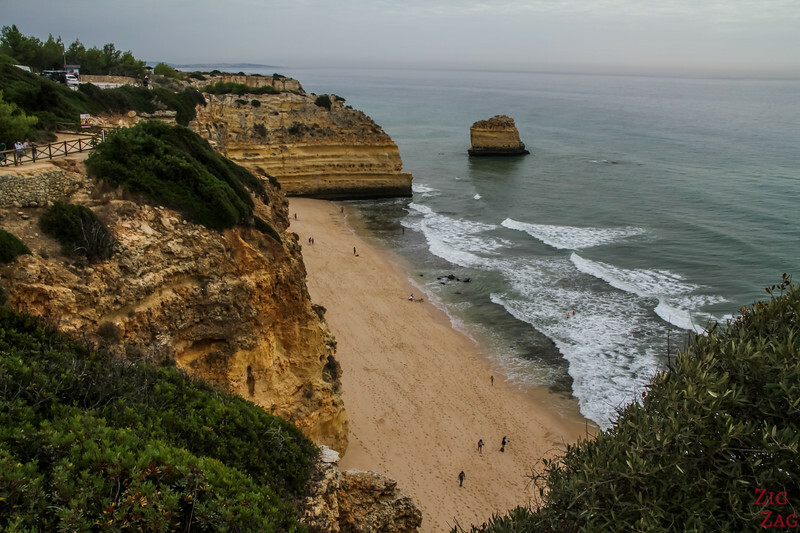 As you can see in the photos below taken from the cliffs, the beach almost disappear at high tide. 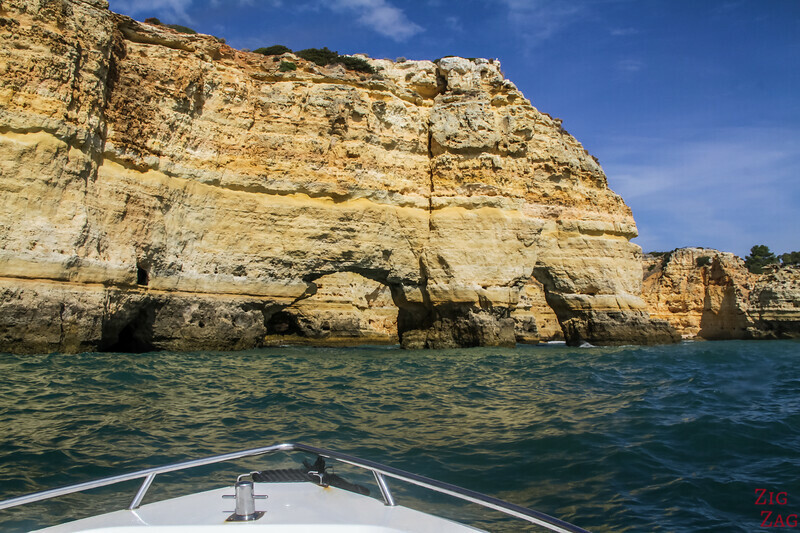 And some waves can go all the way to the foot of the cliff! 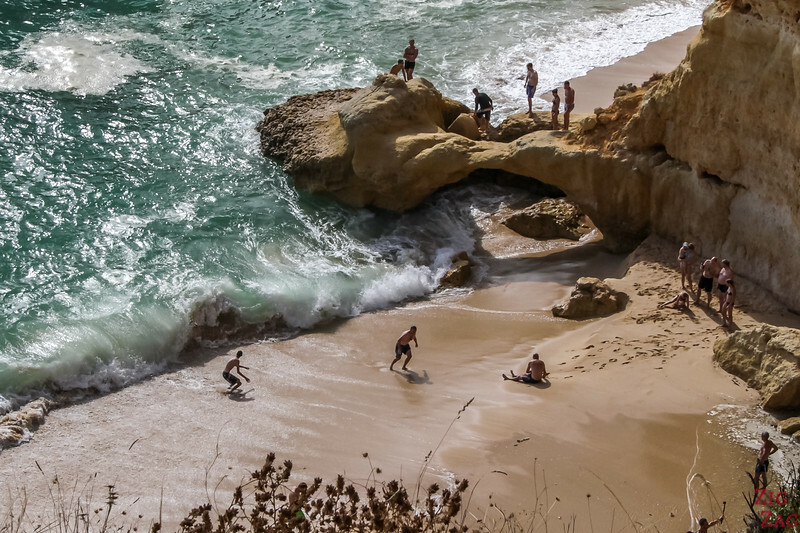 We have seen people getting their belongings soaked and getting stuck in on of the cove. 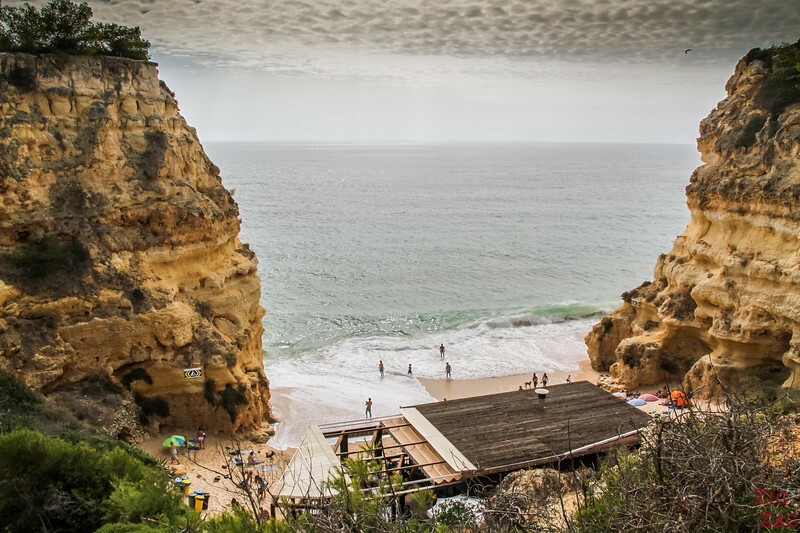 The access to the beach is to the East side where the restaurant is. 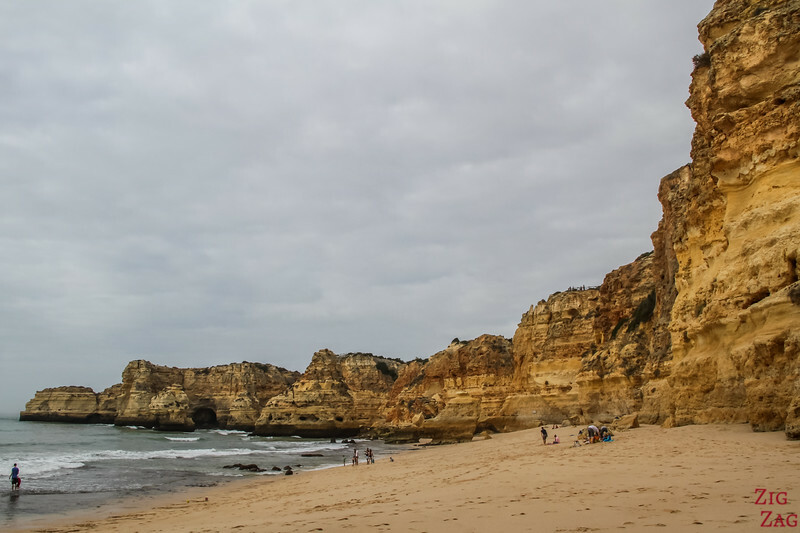 The best part of Praia da Marinha Beach in Algarve is to explore the west half. 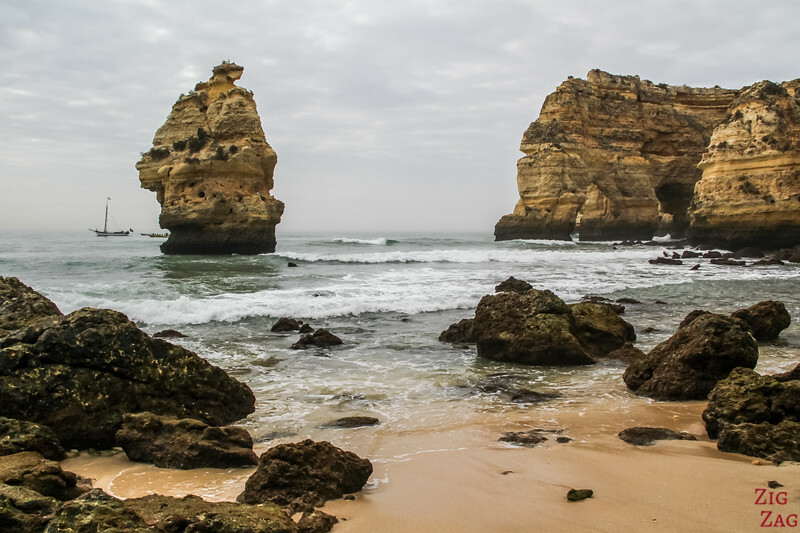 It has many rock pillars, sea stacks, arches. 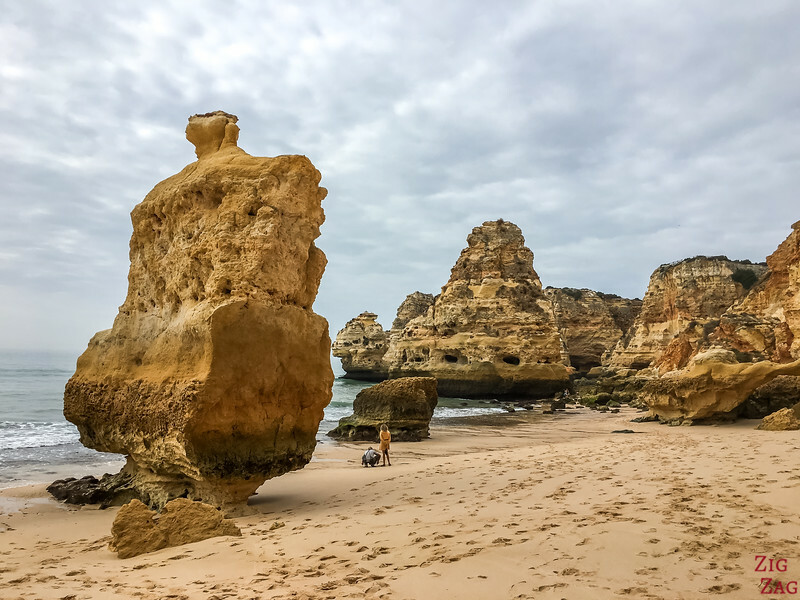 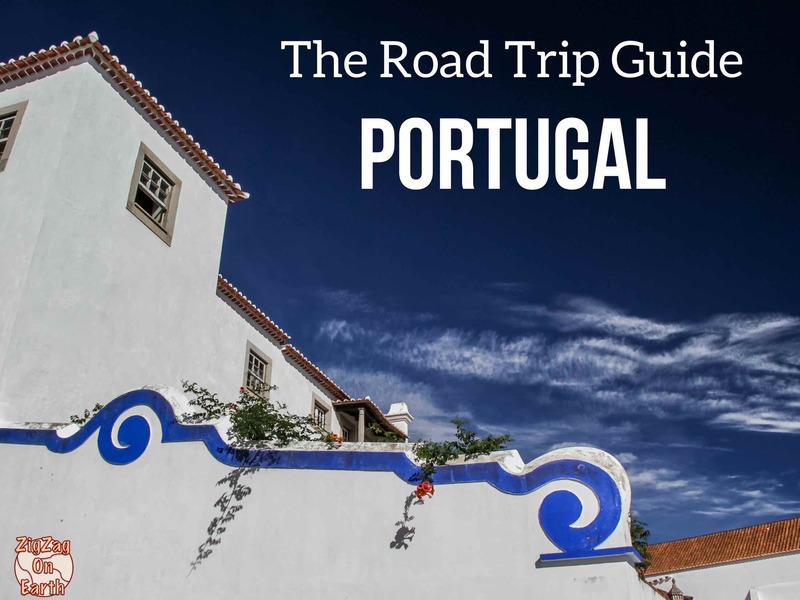 If you continue further West and climb over a few rocks you reach Praia da Mesquita. 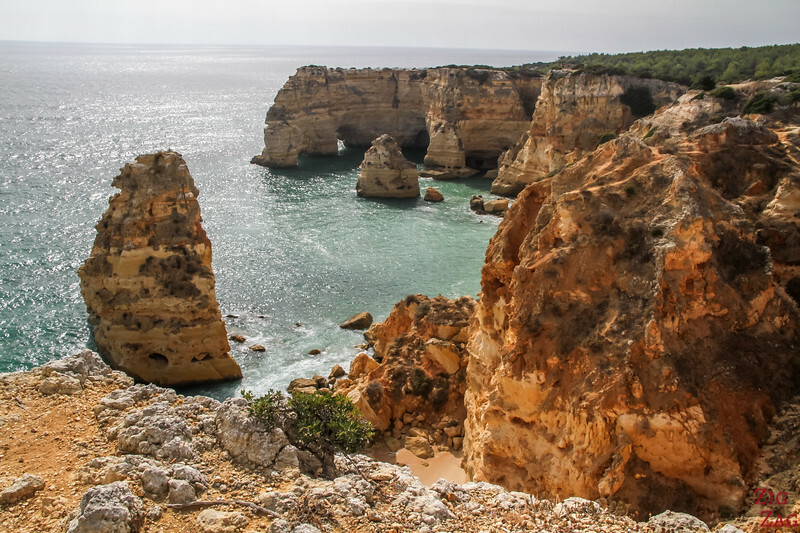 It is generally considered as part of Paria da Marinha Algarve. 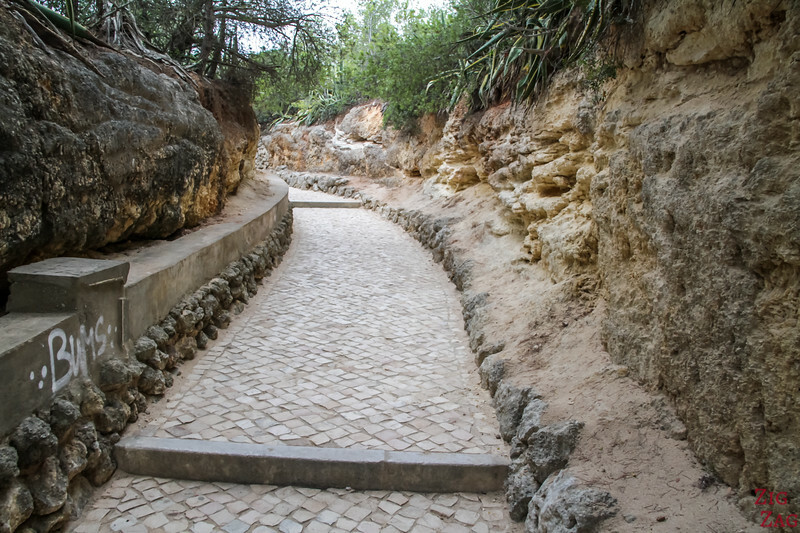 On the cliff walk at Praia Da Marinha in Algarge Portugal, there are some display explaining the spectacular work of erosion in the region. 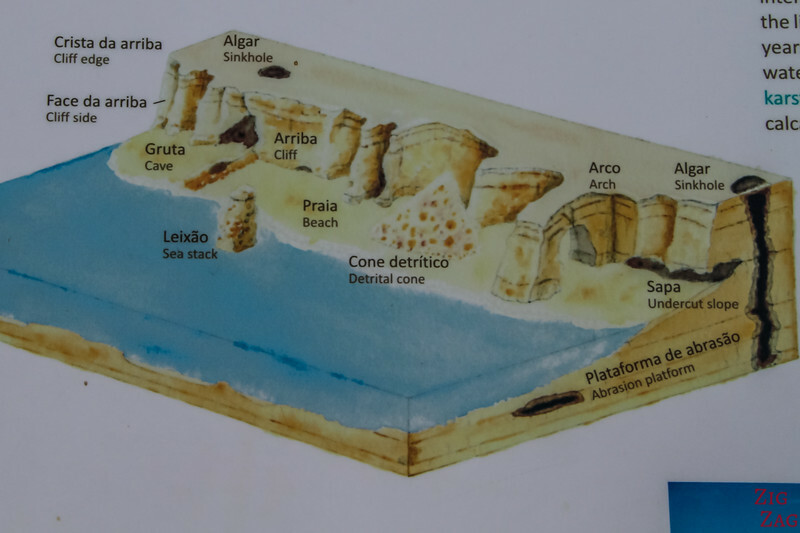 The cliffs recede by 2mm to 2m per year. 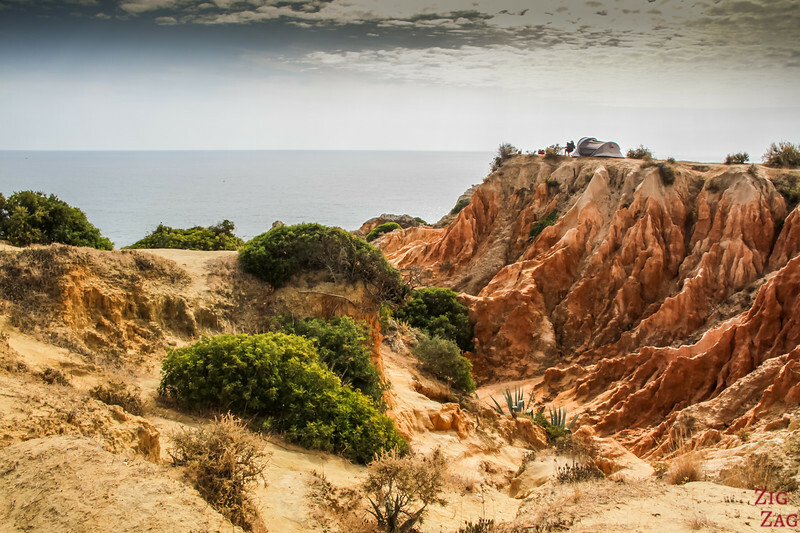 The evolution of the cliffs occurs via landslides mainly in Winter. 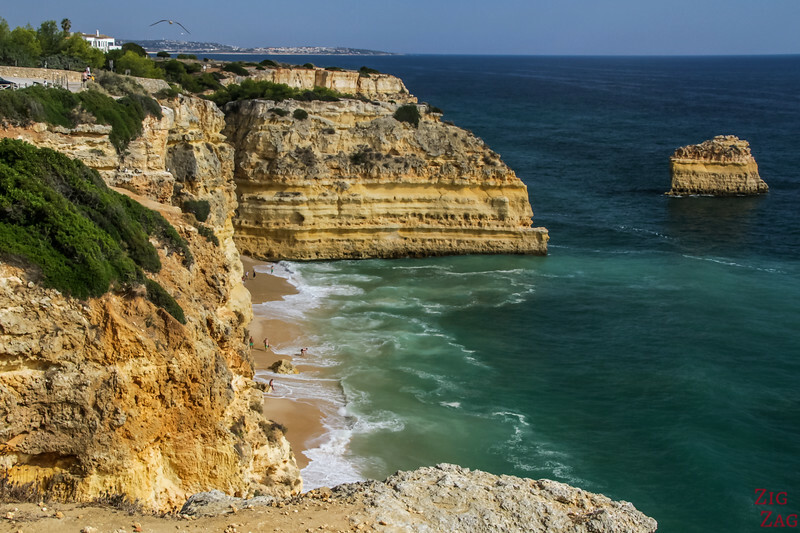 Northing is done to prevent it, as it is important to safeguard de natural heritage. 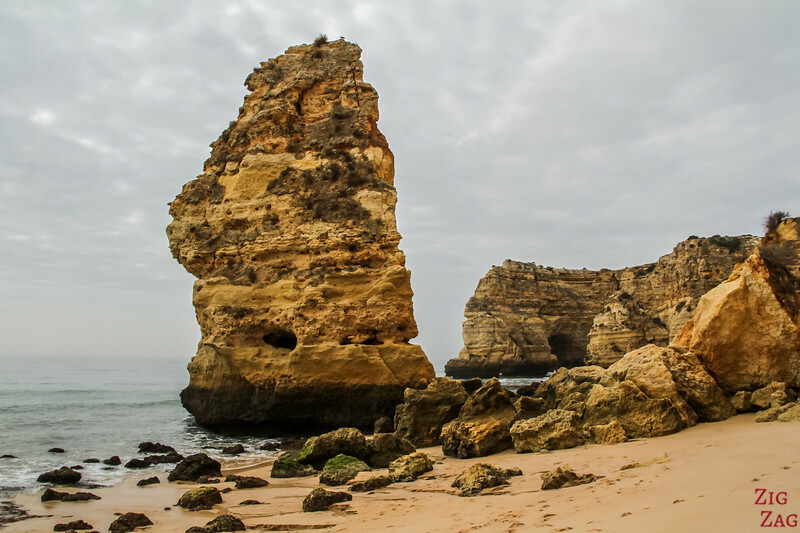 The limestone of the of the cliffs is estimated to be between 24 and 16 million years old. 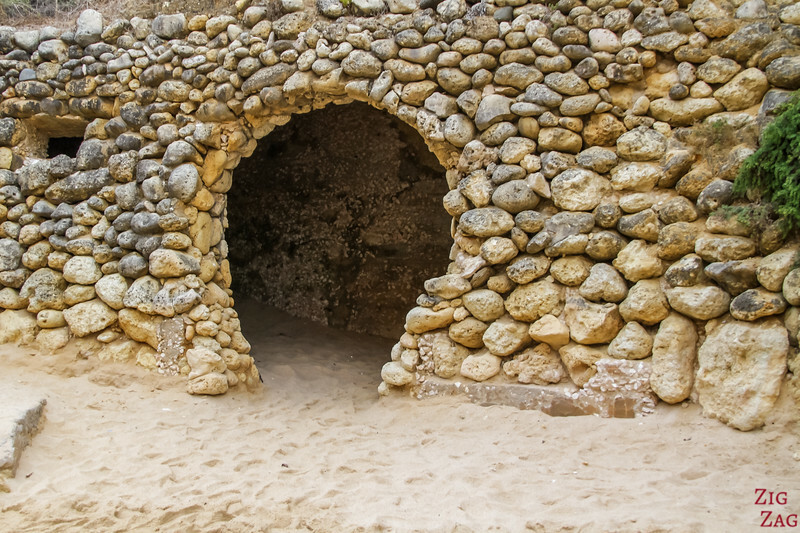 I think, access is via a hole inside this, but I did not explore. 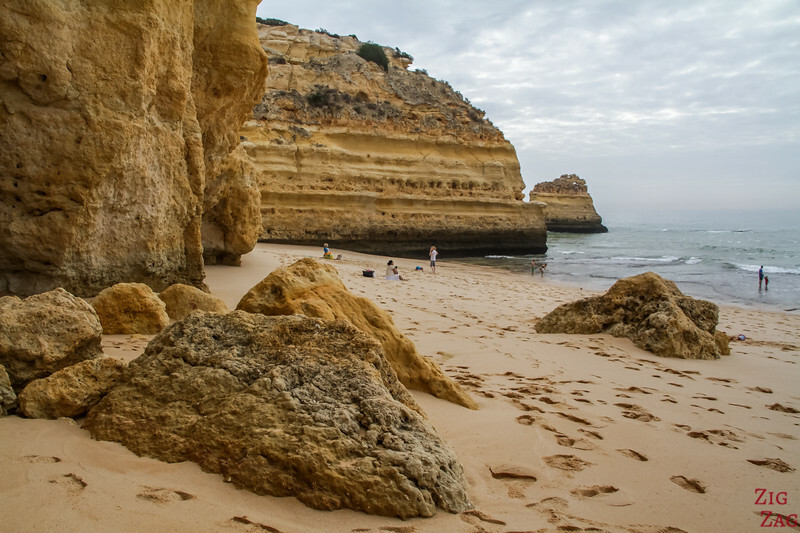 The area is centrally located to many of the most beautiful beaches in Algarve, so a great place to stay. 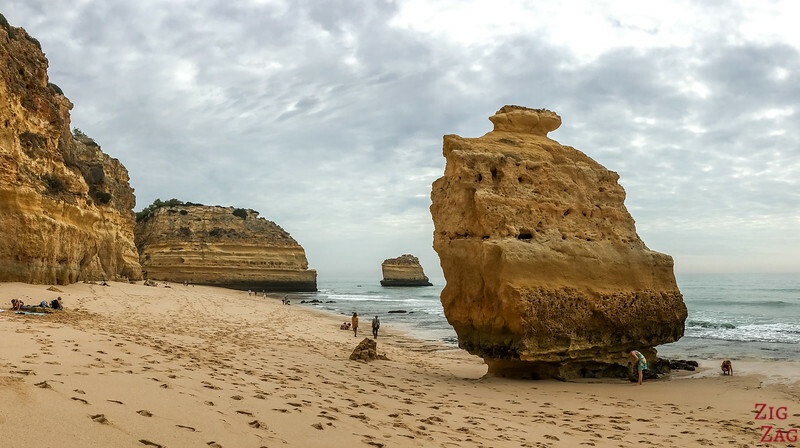 Do you think it deserves to be on the list of the most beautiful beaches in the World?